This is a pretty unique idea, how did you come up with the idea of an underwater exhibition? A few years ago I did an underwater photo shoot with a friend where the exhibition will be held and I fell in love with. 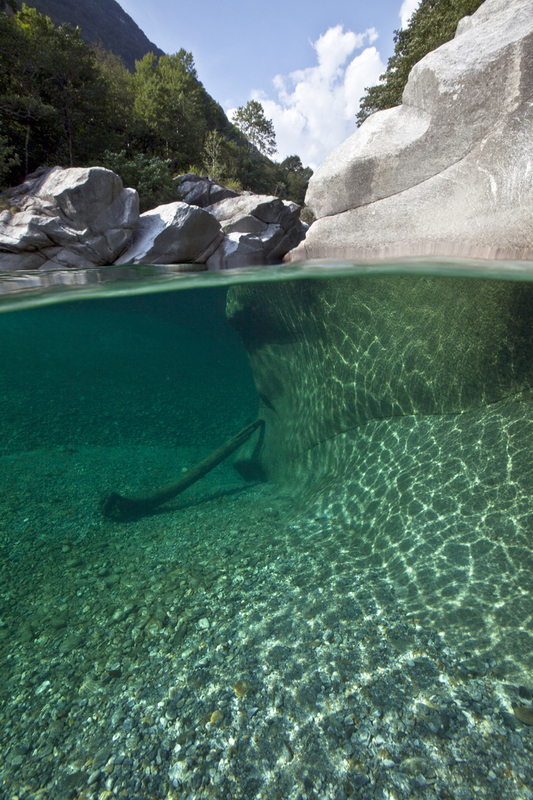 Verzasca river has crystal clear water and dreamy landscapes, it’s a very popular dive spot in Switzerland. 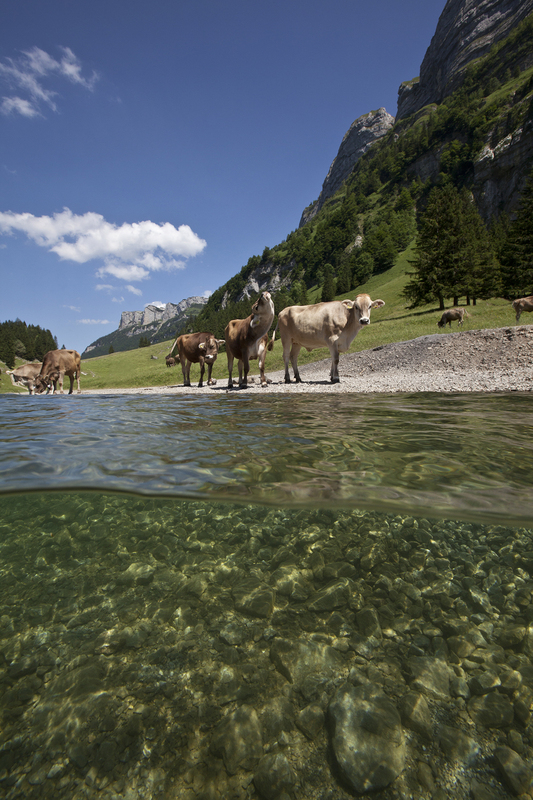 So, the Switzerland Underwater project was born. I’ve been shooting Swiss lakes and rivers over the last 3 years. 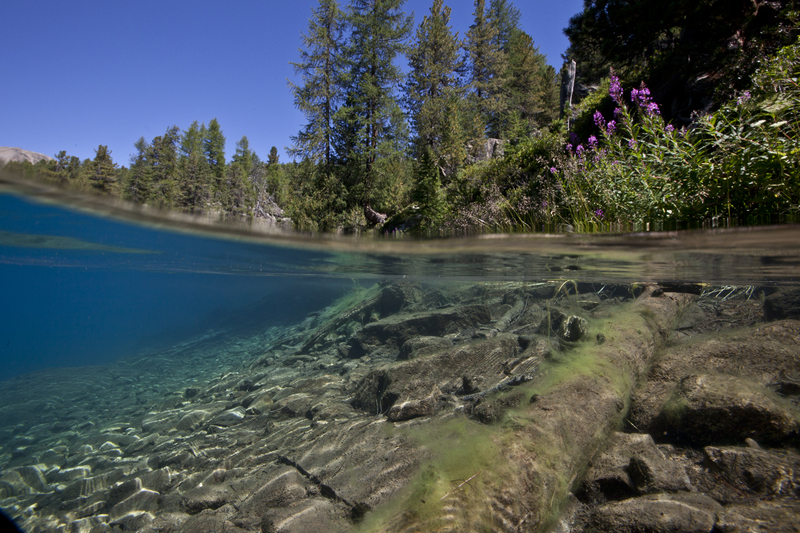 The theme of this exhibition, as described in the project name, is of Swiss landscapes shot half underwater and showing this beauty through a different perspective. The goal of this project is to create awareness of the importance to protect the aquatic environment. However the chosen location for the exhibition is a river and the water flow changes constantly according to weather conditions, amount of rain… even making it impossible to swim or dive at certain times as it can be really dangerous. So it was a challenge to make a metal structure to hold down the prints. After some brainstorming with an engineer we finally came up with a prototype and its was tested successfully. To see my first 90cm x 60cm picture hang at a 10m depth for 2 weeks was fantastic! The chosen date was 21st July before I knew it’s PADI Women’s Dive Day 2018! 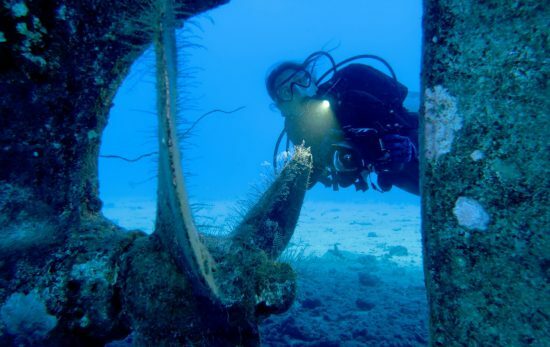 I came across the information at PADI’s website and thought why not to join the worldwide celebration? Diving has always been a male dominated sport and we as women have to go through so many obstacles…I think we all have been there at a certain point. I think it’s important to encourage more women to start diving and exploring. It’s great to be part of an event that is bringing us together. 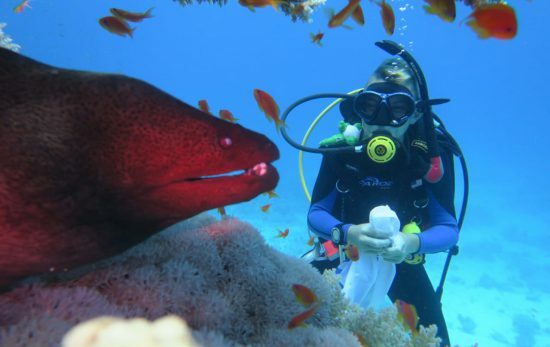 Do you think being a diver has affected how you view conservation? Before I started diving I was already a conservationist. I got certified while doing an internship at the Spinner Dolphin Centre in Fernando de Noronha, Brazil. Back then I was volunteering at different NGOs helping projects, working with sharks, sea turtles and manatees conservation as well. Being a diver is a confirmation of the feeling towards conservation. When I merge into the ocean as we are one…slowly sinking into a world of fascination. It is my happy space and it makes me want to protect it even more. It’s alarming the amount of plastics that are dumped into our oceans daily, in my opinion single use plastic has to be banned for good! It has been great! The project was featured in local magazines and people are quite amazed by the idea. Sometimes I had to explain more than once so people understand that my pictures are going underwater in a river… Some people did not believe that it would be possible to make it but this was just more fuel to get me going. They say don’t give up on your dreams…I say they are right! 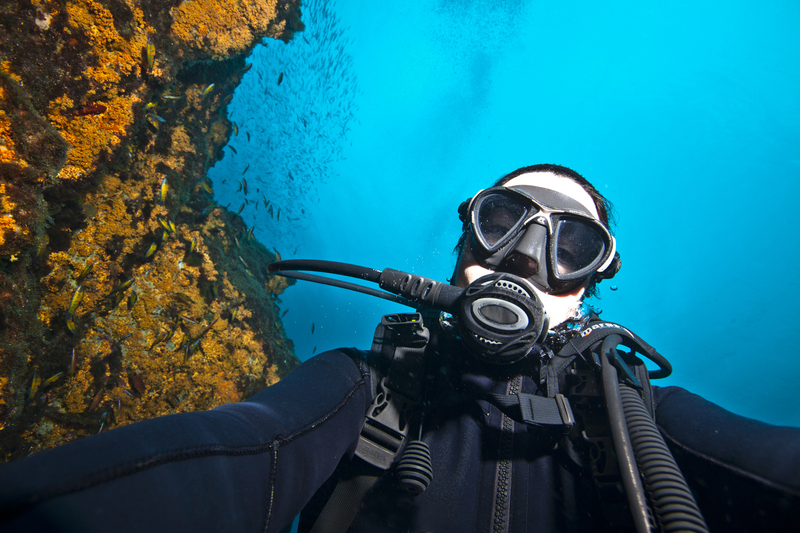 To find a PADI Women’s Dive Day event near you, check out our event locator here.